In the heart of Islamabad, in a peaceful environment, Grace Guest house is situated only 100 metres from the F-6 Markaz and only 25 minutes drive from Benzeer Bhutto International Airport. 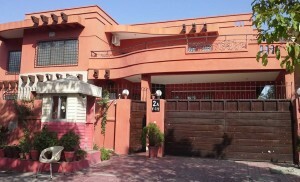 Grace Guest House, Islamabad is famous for its quality. The services are of highest quality standards. 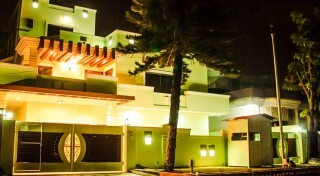 Grace Guest house is completely furnished guesthouse that offers 16 bedrooms, throughout the year. A stay of at least one week in “Grace Guest house Islamabad” is ideal for visiting all the beautiful places of Islamabad. At your service, you have a kind and competent staff, who courteously tries to meet all your requests. We, the Grace Guest House, Islamabad are a professional in the field of hospitality. 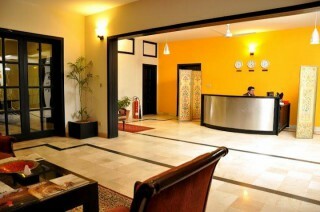 The Grace lodge Islamabad, is been managed by professional managers, chefs, security guards and other staff. 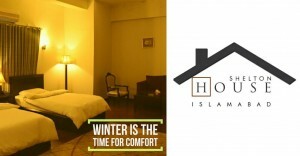 We are one of the pioneers in the field of Bed and Breakfast in Islamabad . We are providing real facilities, unlike other gimmick guesthouses in Islamabad, who exaggerate their facilities to attract business. By the grace of Allah, we are doing great in the business and are investing a lot of money and resources in the expansion of the Grace Guest House. Extra Mattress Charges are Rs.1200/night. Check in time is after 12 p.m. Please return the room key while going out of the house. Weapons, pets and liquor are not allowed in the room. Valuables of any type may be deposited in the safe deposit at reception. The management is not responsible for the loss of any valuables left in the guest room. Visitors are not allowed after 23.00 hours. Please contact reception in case you need Rent a Car or Radio Cab service. In case of fire/natural disaster please leave the room immediately and rush to a safe place. For safety reasons preparation of hot meals and beverages are not allowed in the room. Easily inflammable/explosive objects and materials with a strong or unpleasant smell are strictly not allowed to keep in the room. The guest who causes damage to hotel property on purpose or by accident will have to make restitution for the full amount of damage. At the day of his or her departure, the guest is obliged to allow the hotel staff to check in his or her presence all rooms and house appliances to prove that they are not damaged. During your stay please preserve the environment and be rationale in water and electricity use. For any assistance front desk officer is available round the hour. Management reserves the right to amend any or all such clauses at any time.